Search engine marketing, or SEM, is a set of marketing methods to increase the visibility of a website in search engine results pages (SERP’s). There is a lot involved with search engine marketing, however, it can provide an extremely effective method of driving highly targeted visitors to your web site. Pay per click advertising uses sponsored search engine listings to drive traffic to a web site. The advertiser bids for search terms, and the search engine ranks ads based on a competitive auction as well as other factors. Search engine marketing, implemented properly, can deliver huge numbers of qualified prospects to your website. But that’s just the first step. A comprehensive SEM campaign should also aim to persuade prospects to take the specific actions you want them to take. Your SEM campaign should also close the loop by providing metrics and analytics to drive ongoing improvements that will net you the highest possible online marketing return on investment (ROI). 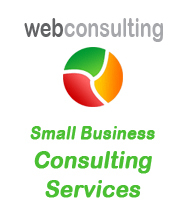 WebConsulting provided us with an excellent service. After 2 years paying for SEO elsewhere, we got them to carry out an SEO audit on our site, and they highlighted a whole lot of issues, which we are now addressing.